Swiss Mountaineer began as a watch brand designed for the great outdoor adventurers - specifically, brave and hardy mountaineers facing extreme climate conditions of the Swiss Alpine region. 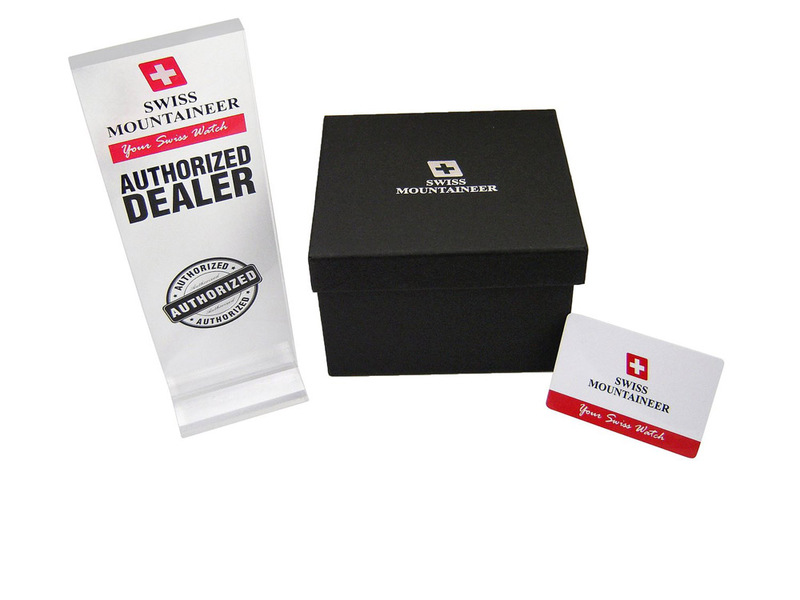 As the years progressed, Swiss Mountaineer's reputation for quality watches coupled with their commitment to customers, has resulted in their popularity throughout the world. The brands approach to innovative value and precision has put the Swiss Mountaineer's name on the lips of discerning watch buyers everywhere. Whether you are looking for a simple Swiss watch that gives you reliable time every time, or a classic multifunction watch, Swiss Mountaineer is the only name you need. They come in adjustable metal bracelets, leather straps and silicone bands at affordable prices.